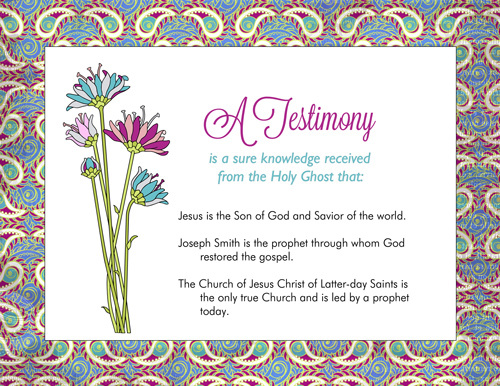 For a recent Beehive Class lesson, I taught our girls from YW Manual 1, Lesson 26: Testimony. To go along with this lesson, I made my own poster (as directed in the lesson plan) and a seed packet handout to give the girls. Both projects helped to reinforce the idea that a testimony starts small and grows bigger as you nourish it, just like a seed (See Alma 32:28). 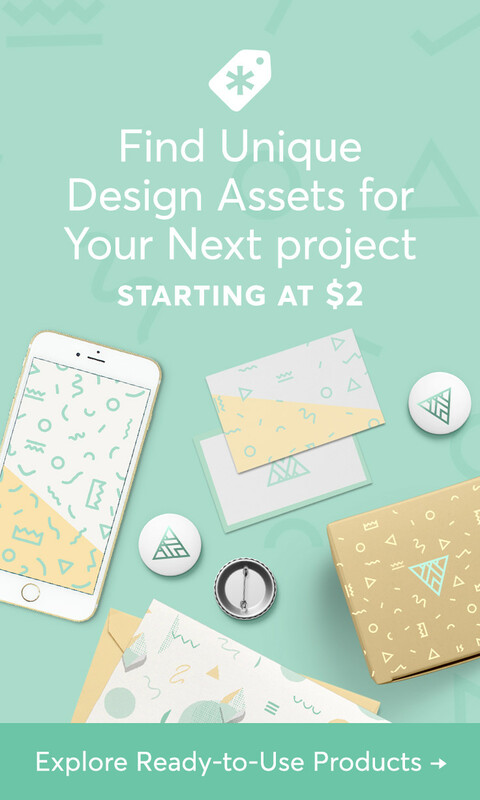 The poster is 8.5-by-11-inches in size and is ready to print on your home printer. It includes all the content specified in the lesson manual and is embellished with flowers and a paisley border. 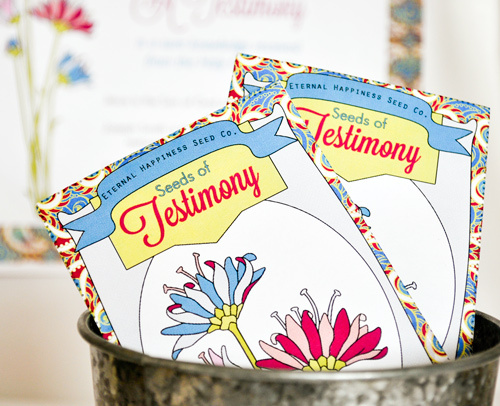 The Seeds of Testimony seed packet front features flowers with an “Eternal Happiness Seed Company” logo. The back has the text of Alma 32:28. 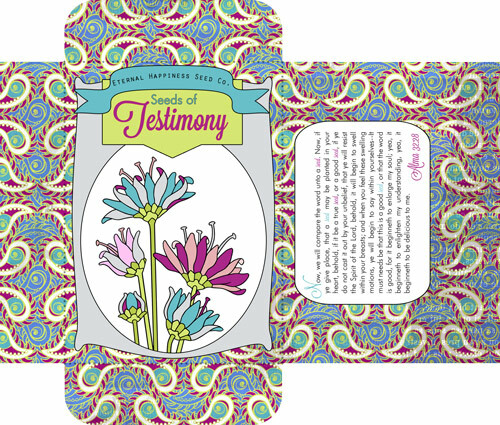 To go with the seed packet, I created some 3-by-4-inch blank cards from card stock and gave two to each girl. 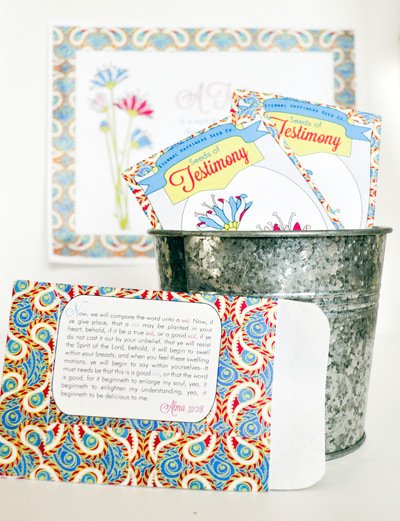 On one card, I had them write “Things I Want to Gain a Testimony About” and on the other “Things I Believe.” Then, each girl was encouraged to jot down a few things on each card and place the completed cards in the seed packet. I explained that the way to grow their testimonies was to continue learning about those things they already had a testimony about and to “experiment upon the word” to develop testimonies of the things they wanted to know. I encouraged each of them to pull out the cards occasionally to update their lists as their testimonies grew. 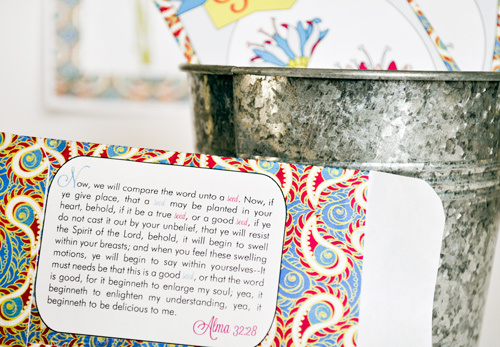 You can use my seed packet handout in a similar way or fill it with seeds or candy. In this download, I’ve included a .pdf file with both the 8.5-by-11-inch poster and seed packet as well as a .jpeg of the poster and a .png of the seed packet. 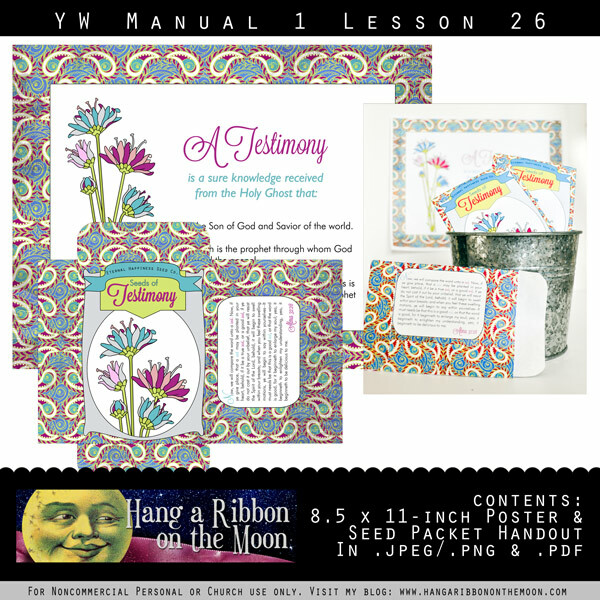 Download my YW Manual 1 Lesson 26 Poster and Seed Packet Handout here. You will need to unzip the downloaded file before you can use it. Remember, DO NOT SHARE these files in any way! 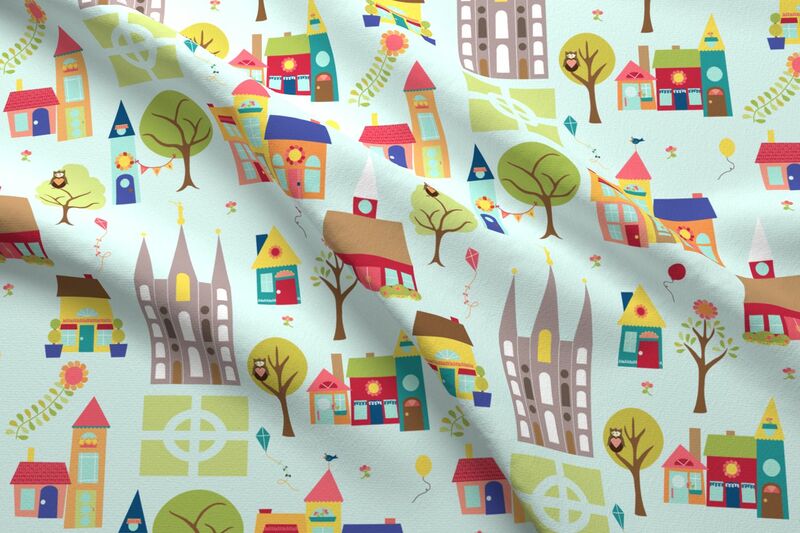 These downloads are for noncommercial personal and Church use only! Next The 2013 Mutual Theme is Announced! Thank you so much for creating a wonderful handout from the lesson manual. So many people create their own which is fine but I wanted what the lesson asked. Thanks for sharing. Thank you so much for sharing this file! It is better than what I had in mind and will be a great addition to the lesson. Using for Girls Camp!! Thank you soooo much for your time and service. Many blessings to you in your life. The Gospel is true! You’re welcome! Have a great camp! Thank You for the handout! I think these will go great for our Primary Board Appreciation night.